Combine cranberry juice, vodka, lime juice and ice together in a cocktail shaker. 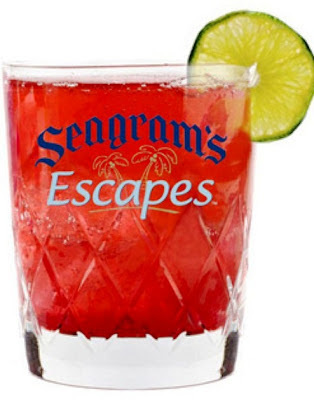 Top with Seagram's Escapes Wild Berries. Strain into cocktail glasses and serve with a lime wedge for garnish.